The pros: Stew Leonard’s Stuffed Lobster is a super convenient dinner for one without the stress or guilt of doing the hard work of preparing a dish like this. This was available at a reasonable price compared with dining out. 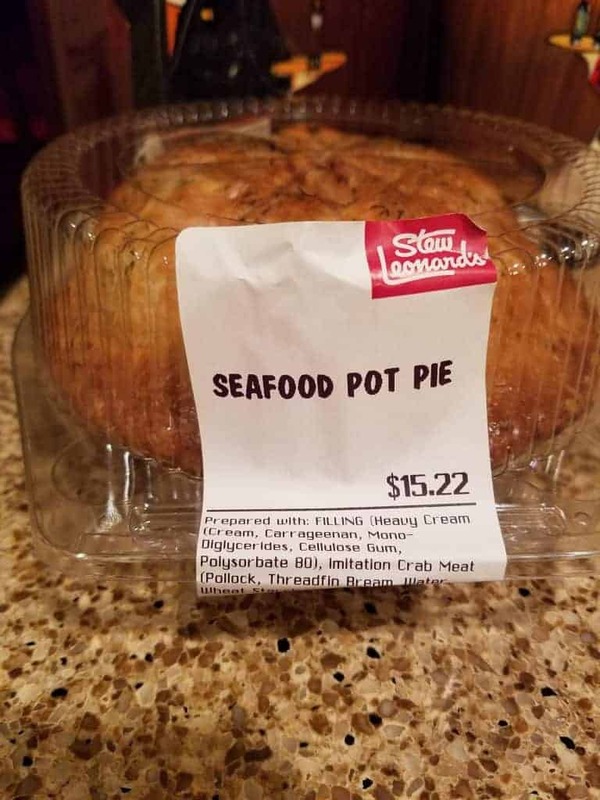 The cons: No list of ingredients on the package nor any cooking times listed on the package, however I took a picture of the store’s sign and the information is posted below. I was in the store just the other day and a sign greeted me. That sign that let me know what is new in the Yonkers location of Stew Leonard’s. 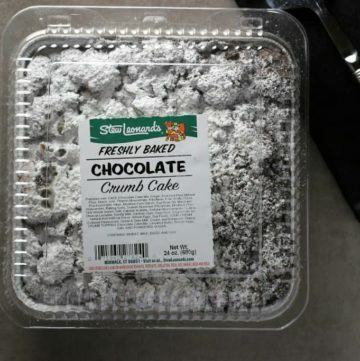 One of the newest items happened to be Stew Leonard’s Chocolate Crumb Cake. While I went in there for a handful of items, I always tend to leave there with a few extra items in my cart. Sorry not sorry. 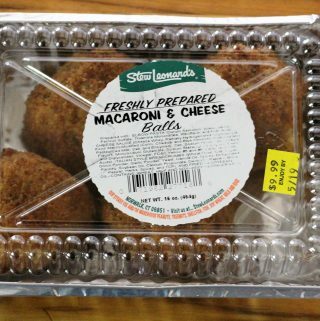 The pros: Stew Leonard’s Mac and Cheese Balls are a time saver, delicious and complete comfort food. The cons: A bit pricey for four mac and cheese balls, but eating one was quite filling. I’m sure there were quite a few calories in this. It also did not have heating instructions so I was left guessing. One of my favorite dishes is Potatoes Au Gratin. 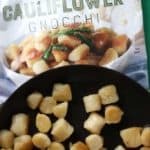 Usually, I buy it around Thanksgiving as it’s more of a family dish and not something that you would make for just one person. 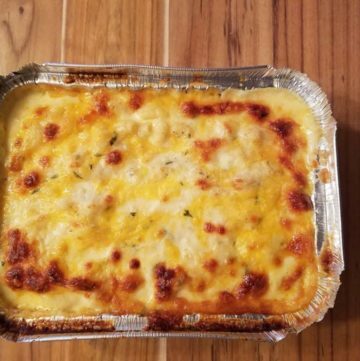 The greatest sin in anything Au Gratin is having it sit in a watery or milky liquid. I love it when it’s rich and cheesy. 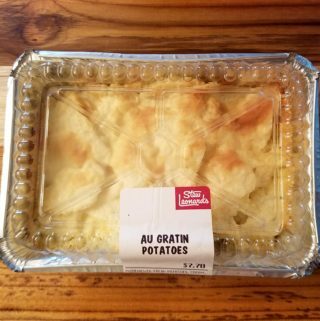 When I came across Stew Leonard’s Potatoes Au Gratin I was intrigued. I noticed no extra liquid floating around. That can only mean one of two things: it’s cheesy or dry…. Sometimes we just have appetizers for dinner. The last time I walked out of Stew Leonard’s, I had an odd assortment of items. This assortment should serve as reminder as to why grocery lists are essential. I walked out of there with essentials like milk. Everything else in my cart was an appetizer. Clearly, I have no interest in dinner or putting together a meal. My husband and I don’t get a chance to eat together often as we don’t work the same shift nor do we have the same days off. So cooking a big dinner is a pointless. So sometimes it’s just easier to have appetizers in the refrigerator for when either one of us are home. 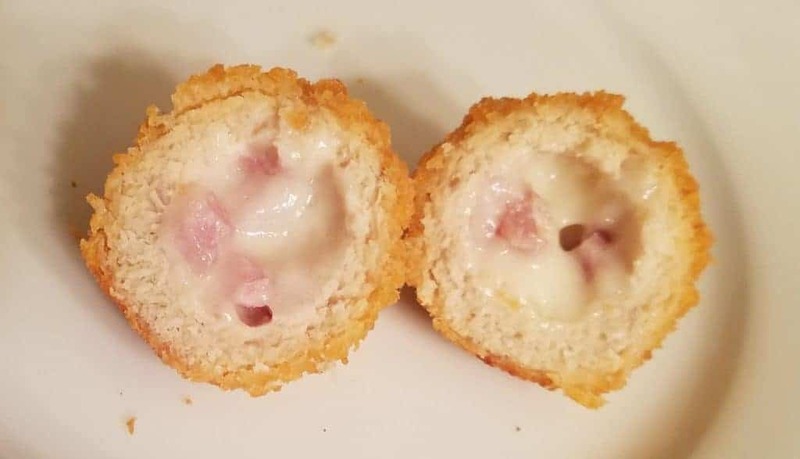 So one of the appetizers that ended up in my cart was Stew Leonard’s Mini Chicken Cordon Bleu. It was a hit with both of us…. I am part of a generation that is dying off. We played outside, our knees were always scuffed up, and sat close too close to the TV. We would fight over who got to lick the beater from the mixer whether it was cake batter or cookie dough. Had my mother raised me in current days, her judgement would be questioned. I’m forever grateful she let me lick the beater (and the bowl if I was lucky). 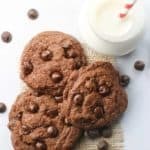 Now an overwhelming fear of illness surrounds eating raw batter. That glorious taste is strongly discouraged in it’s raw form. Which has led to various forms of cake batter and cookie dough ice cream. I’m completely guilty of eating the dough out of the ice cream. 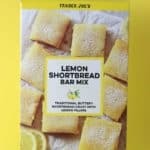 It’s a taste that isn’t always improved with baking. 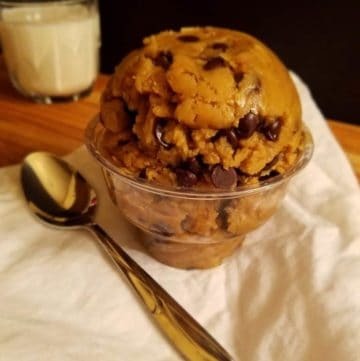 For right now, we have Stew Leonard’s Edible Cookie Dough…. If you are from New York, you probably know good bagels. If you don’t enjoy waiting in line for your bagel and happen to be in the area of Stew Leonard’s, then you should try their bagels. They have a lot to choose from. They have the expected flavors: plain, sesame, poppy, salt and everything. They also offer the unexpected flavors: rainbow and Cheetos Flaming Hot bagels. 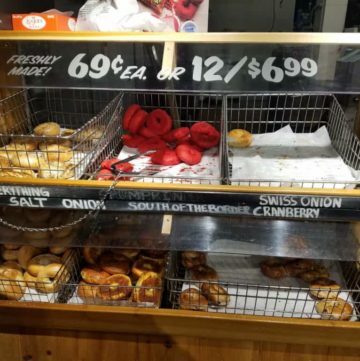 Thus, there is something for everyone, so don’t wait until closing because like any good bagel store, the selection dwindles as it nears closing time. 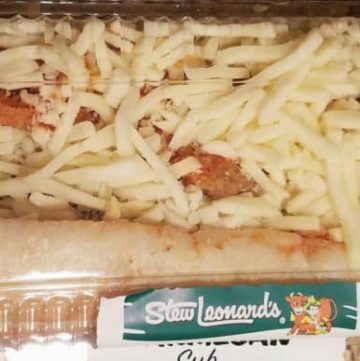 While Stew Leonard’s Bagels range from the mundane to social media knock offs, you’ll have to go some where else for a variety of cream cheese flavors…. There is something magical about well made donuts. In fact, Homer Simpsons famous line comes to mind, “Mmmmm…Donuts.” There is a simple truth in that statement. 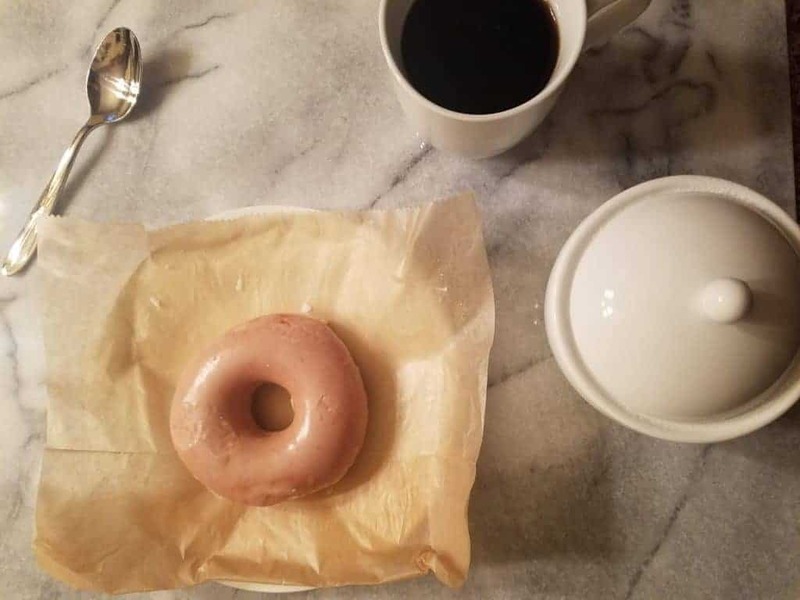 One bite into a really well made donut and any other thoughts vanish, leaving you with only Homer Simpsons words (possibly his voice playing in your head as well). My all time favorite donuts were Krispy Kreme, but they are near impossible to find fresh with the “hot” light on. With all their locations being distant I had been on the search for a good substitute. 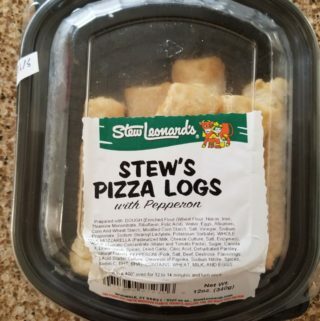 I found it in Stew Leonard’s Glazed Donuts. The pros: Light, airy, and delicately glazed donuts. The cons: So easy to sit down and eat the entire contents of the box. 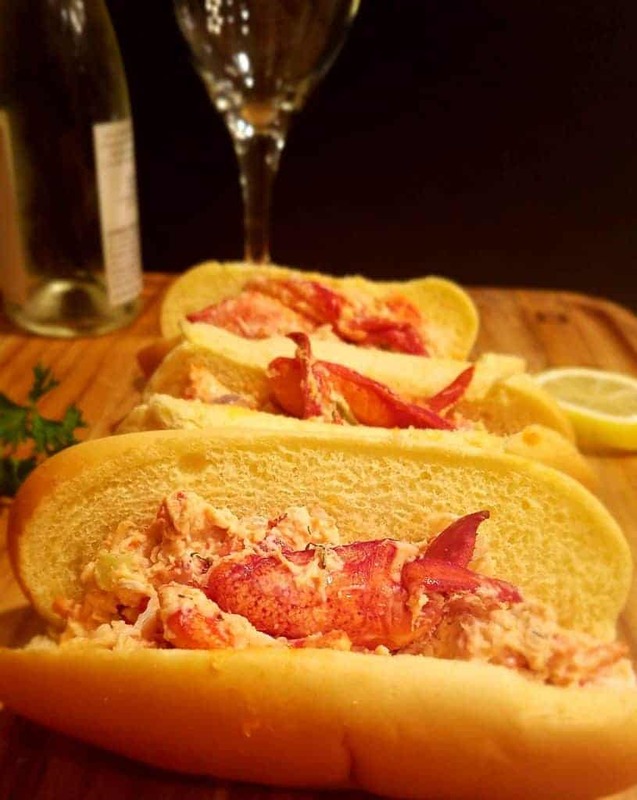 On my first trip to Stew Leonard’s about ten years ago, Stew Leonard’s Lobster Roll was one of the items that caught my eyes. 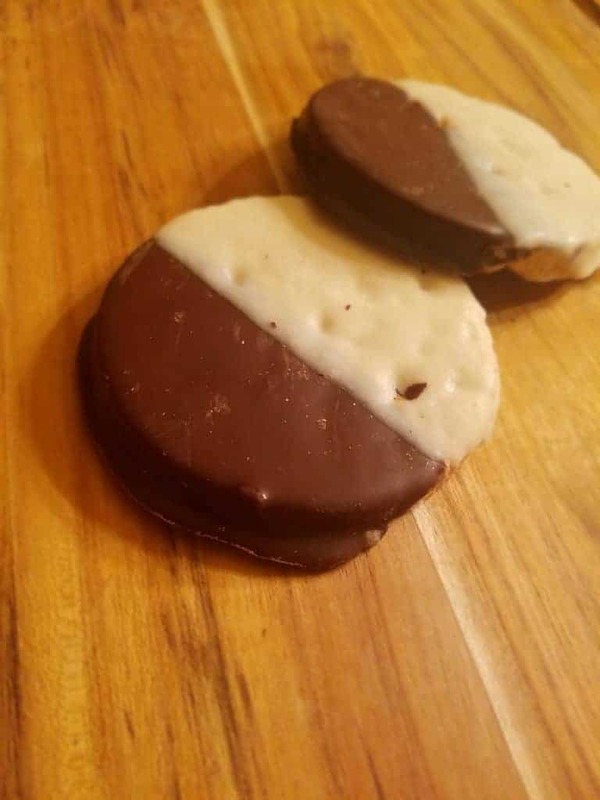 One bite and I was hooked. If you love the taste of fresh lobster, this will be right up your alley. 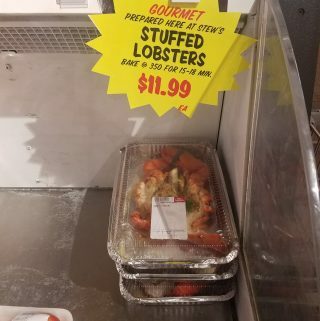 They don’t skimp out on the lobster meat. If you are looking to just buy fresh lobster meat or lobster salad, they sell that as well. 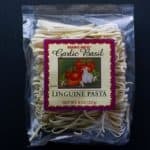 If you are looking for a taste of summer regardless of the season this is a great item to pick up. The pros: Fresh and generous lobster quantity for the price. Not overwhelming with mayo, nice crunch from red onions and celery. The cons: Short shelf life, but don’t worry, it won’t be sitting around for too long. Lobster isn’t cheap. Wish it had the calorie count. I have a confession to make. My husband knows about the other men in my life. That’s right, I said men. 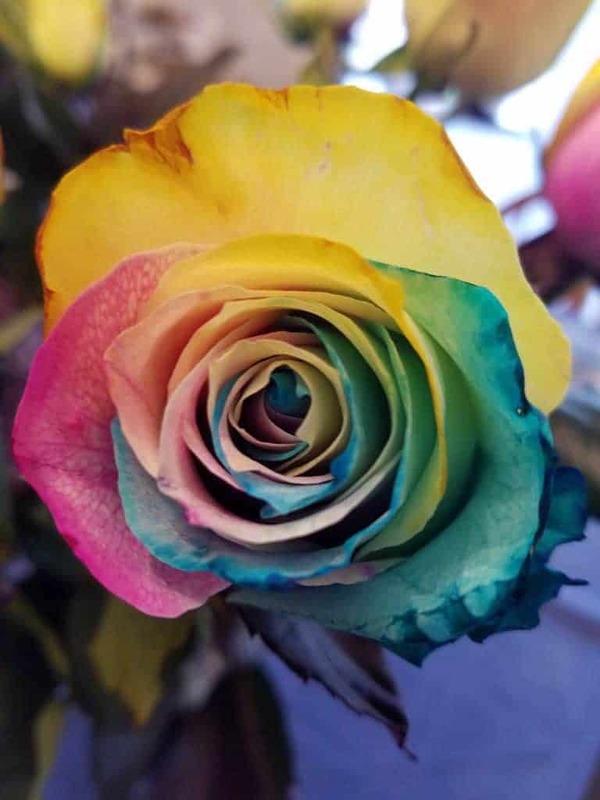 There is more than one other man in my life beyond my husband. They make my life easier. They even cook for me on nights when I’m not up for it. 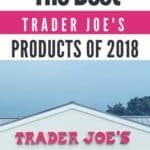 One is named Joe, Trader Joe. The other is Stew, as in Stew Leonard’s. I have yet to meet either man in person. 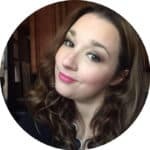 All I want to do is shake their hand and say, “thank you.” I know I won’t get to the chance to say thank you in person so Stew Leonard’s Food Reviews and Blog Posts will have to be the next best thing….